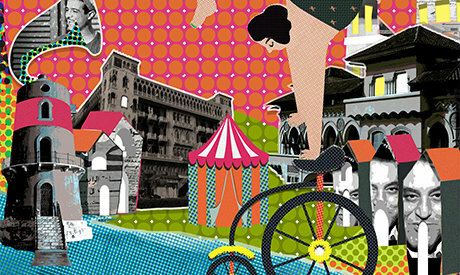 The fourth edition of the Backstreet Festival will run in Alexandria and Cairo, featuring circus, theater, music and film screenings from 28 March to 1 April. The 30 to 90-minute performances will be held in semi-outdoor spaces in Alexandria including the courtyard of Saint Gabriel School, the French Institute, the Jesuit Cultural Center and Wekalet Benha. Cairo will host one performance titled Zwai -- a 30-minute circus show by E1NZ (Switzerland) -- at Darb Al Ahmar Arts School (DAAS) on 28 March. The festival will also host four international films including Egyptian actor/director Hussein El Imam’s film Zay Oud El-Kabreet (Like a Matchstick) and German director Anne Linsel's Tanztraume Jugendliche Tanzen Kontakthof von Pina Bausch (Dancing Dreams) among others.